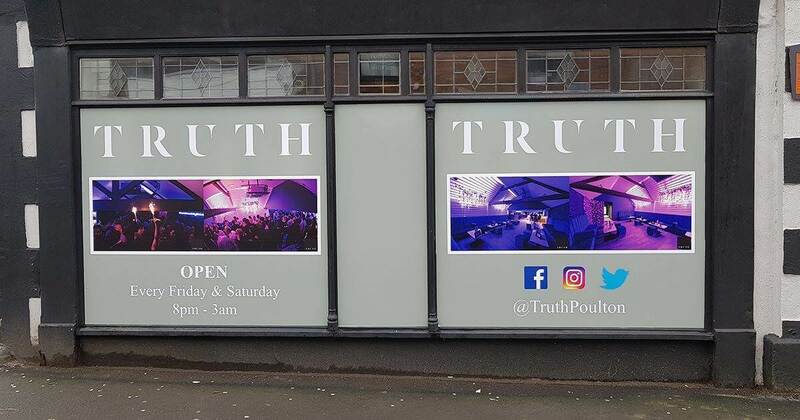 With their re-opening on the horizon, Truth nightclub in Poulton, came to us for window graphics to be applied to their property. The graphics were to block out the windows to the building and show images of the nightclub from the inside. As well as this, the graphics include the nightclubs many social media platforms.